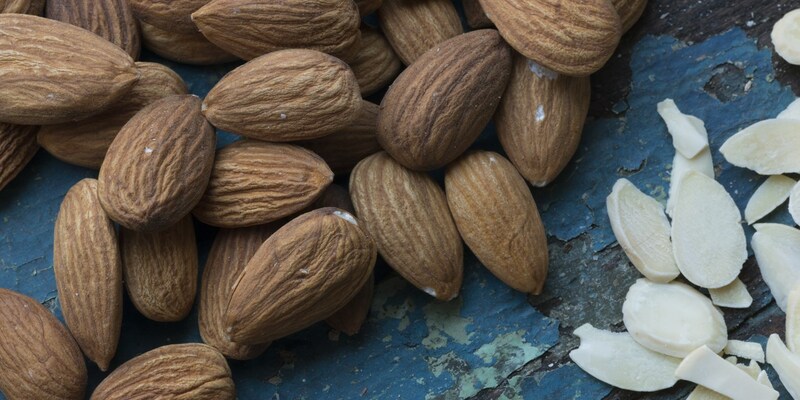 Almonds, native to the Middle East historically, are not only an incredibly useful ingredient to cook with, but they are packed with vitamins and minerals too. They come in a few different forms - either whole, blanched or ground - and work well in both sweet and savoury recipes. You’ve certainly got to admire a nut that can top Anna Hansen’s richly flavoured lamb shank and polenta recipe, while at the same time forming the base of Graham Hornigold’s cherry blossom macaron! As well as being a key ingredient in frangipane - found in a variety of desserts, such as James MacKenzie’s quirky pistachio and raspberry Bakewell tart - ground almonds are increasingly being used in baking as a fantastic gluten-free alternative to flour. Peter Gordon’s boiled orange cake, served up with a creamy, dairy-free coconut custard, uses coconut, almonds and orange to create a cake that anyone, food tolerance or not, is bound to go nuts for.